On the island of Maui’s northwest side there lies a 3 mile stretch of pristine beach. Kaanapali Beach abounds with free things to do in Maui both in and out of the water. The resort area that surrounds it was the first planned resort in Hawaii and offers free Ka’anapali things to do for all ages. Flights to Hawaii can add up quickly! Once you arrive in the land of Aloha, wouldn’t it be nice to find some itinerary items that won’t cost you a penny? 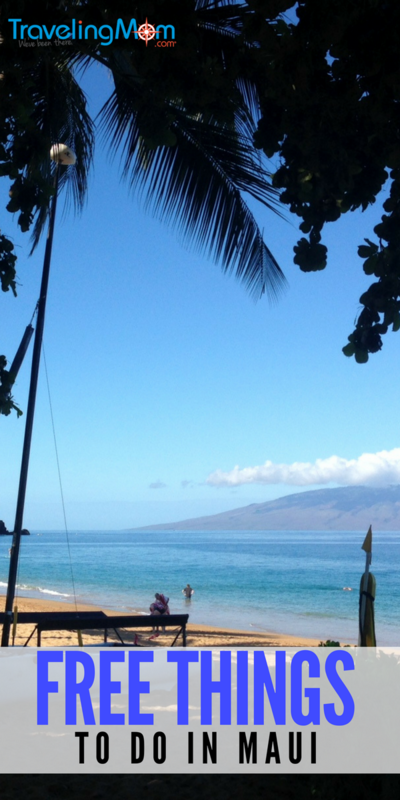 We round up free things to do in Maui and great free Ka’anapali finds. 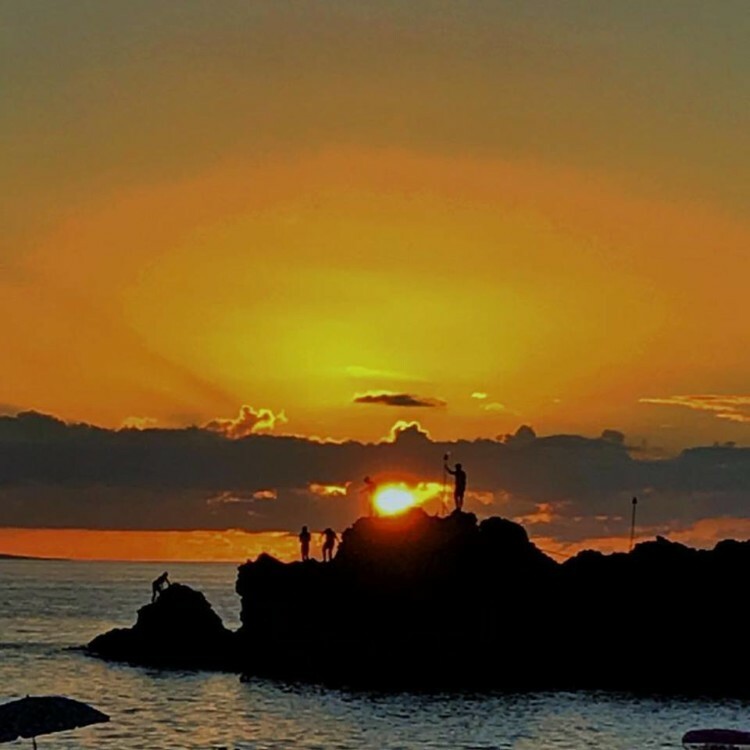 What is your favorite free thing to do in Maui? It’s true a whale watching tour on a boat will cost you. During Maui’s famous whale season (peak is January thru March), you can view these majestic creatures from shore for free. Pick a good spot on the beach and set up camp to see whales and dolphins right in front of your eyes! 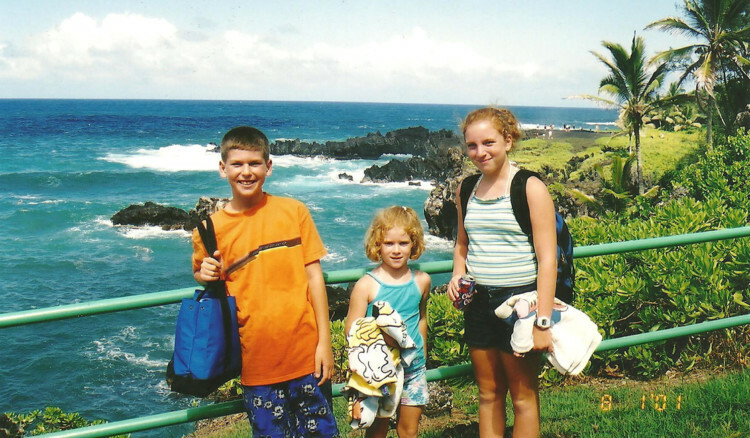 This is one of our favorite free things to do in Maui. This nightly event at the Sheraton Maui has been in practice since 1963! It’s short at 10-15 minutes long and happens every evening roughly 5-10 minutes before sunset. It’s worth it to check the time during your visit before heading over so that you don’t miss it! This ceremony recreates a dive taken by the last King of Maui. During the day you can try your hand at cliff diving from Black Rock if you’re feeling brave. Just be sure to look out for snorkelers and swimmers below before jumping! 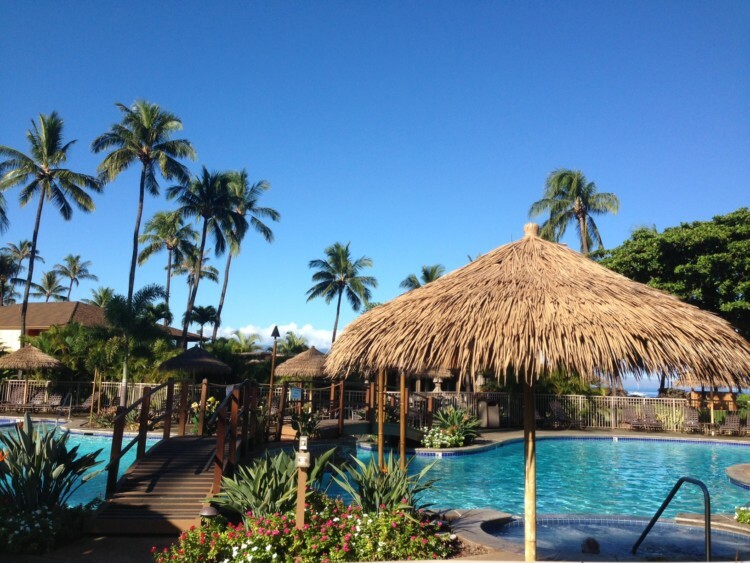 This free 10 stop tour is sponsored by the Ka’anapali Beach Resort Association. 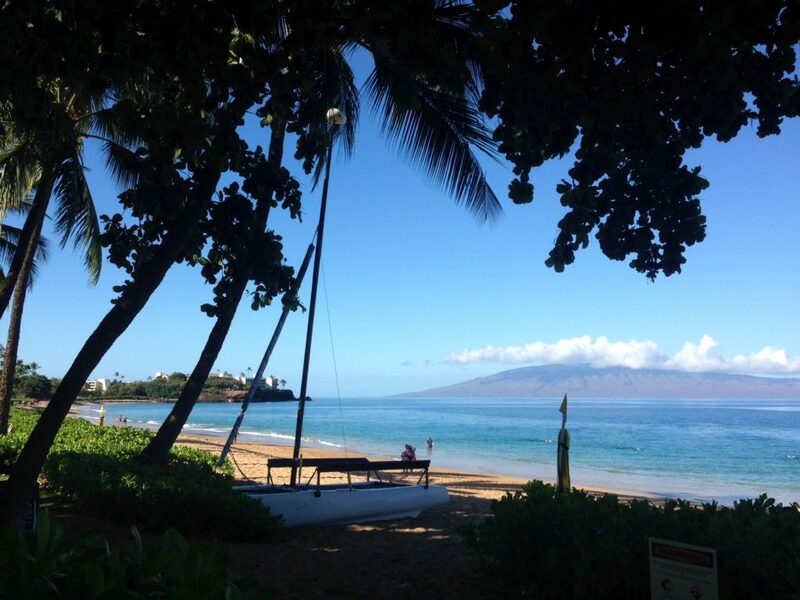 Free Ka’anapali doesn’t get better than this mix of education, views, and exercise. Check out a free pdf/map here to prepare before your trip. It’s not a visit to Ka’anapali without a visit to the beach. While the beach can have limited parking, your best bet is Whaler’s Village Shopping Center. Receive up to 6 hours of free parking with validation, so treat yourself to lunch on your day of free. Want to change up the scenery? All beaches on Maui are free! Beneath the giant Banyan Tree in Lahaina, find the heart of the town. Whether it’s locals gathering, art and craft fairs, or children playing, be sure to make a stop to take in this huge tree. Make a free day of it by following this Lahaina Town free walking tour that boasts 28 things to see & do! On the second Friday of each month, head into the town of Lahaina to Front Street for their town party. This event is free and features live music, arts and craft vendors, and local food available for purchase. It’s a great way to see the town and support locals. Have a 4th grader in your family? Is someone military? Have an annual pass? 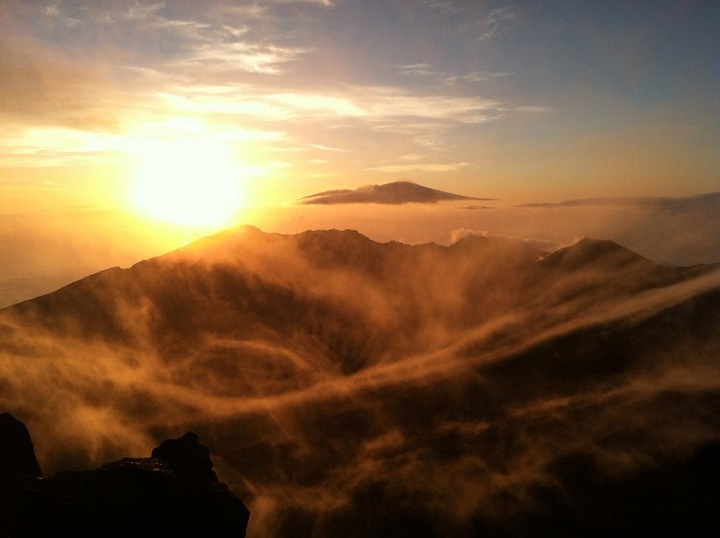 Will you be in Hawaii on one of the designated National Park Service Fee free days? You could check out this stunning national park for free. If none of the above applies, admission to the park is $25 per car and would be well worth it for the amazing views at this unique park. It may seem odd to recommend a mall as a place to find free things to do in Maui, but Whalers Village is no ordinary shopping center. 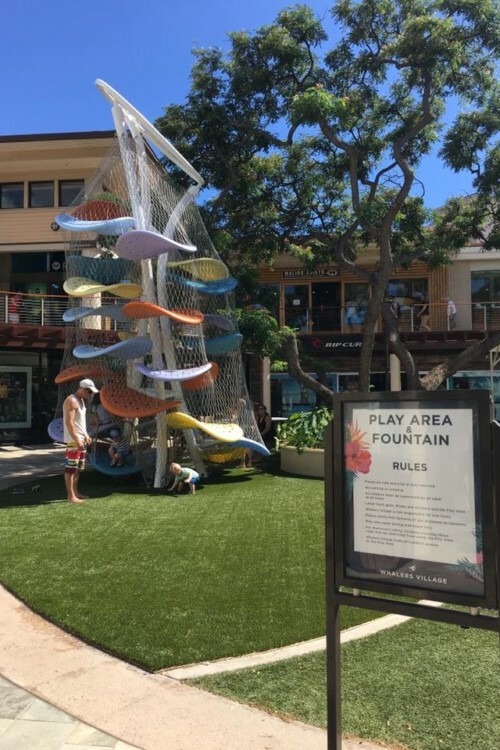 This Maui outdoor mall offers an abundance of activities, and on a daily basis, you can find the kids playscape there. If the kids want to run out some energy and you want to sit quietly and sip a coffee, it’s the perfect spot. On Tuesdays and Thursdays, soak up some Hawaiian culture with free lei making classes. On Fridays, learn how to hula with free hula lessons. Learn the ukelele for free on Mondays. Looking for a way to work in some learning? Join a whale education talk (offered 4 days a week!). Discover an abundance of other opportunities for free things to do in Maui at Whalers Village including live music on Sundays and free hula shows on Wednesday and Saturday. 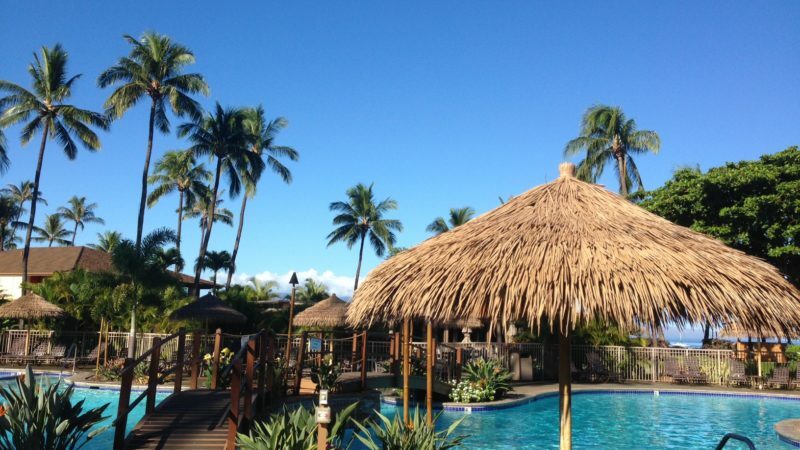 Be sure to plan time here in your free Ka’anapali itinerary. Have some time while you’re on the island? The road to Hana is roughly 3 hours and 15 minutes away from the Ka’anapali resort area but is well worth the drive. Ranked as one of the most gorgeous scenic drives, a picture is worth a thousand words here, and your picture could be free (or come at the cost of one fill up at the gas pump)! As the guest of a Ka’anapali Resort area hotel you have access to the free Ka’anapali trolley. The trolley stops at most resorts and Whaler’s Village. 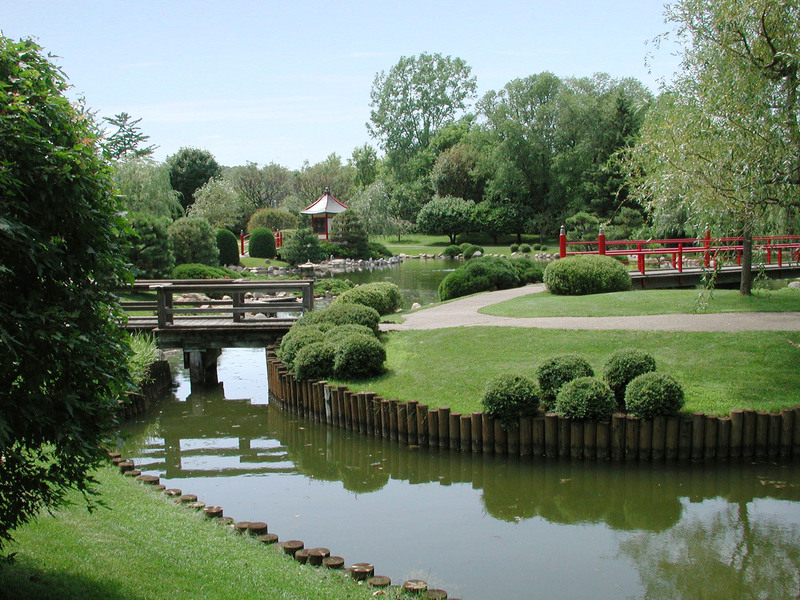 Attend free events at other resorts in the area without having to pay for parking or just go for the scenic ride! Check with your resorts front desk for a current schedule.